I get asked a lot about how to design the perfect playground for children when I lecture at conferences, and meet with clients to design their outdoor play environments. The first thing to know is that it is not just the playground that is important in the design, but it is actually the entire outdoor environment. Although the type of playground equipment you select is important to creating a good play environment, it is definitely not the only element that is important to the overall design. I have come to believe that the essence of outdoor play design hinges on what I summarize as three key design elements. 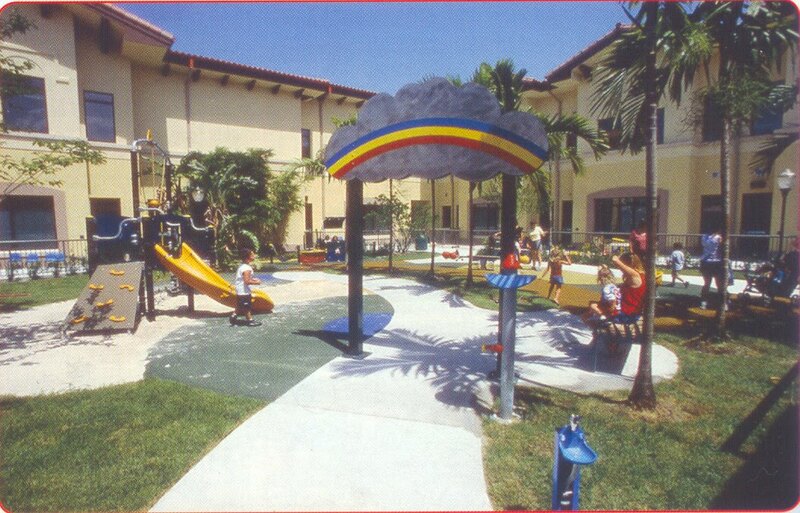 Your playground equipment should incorporate child development domains; Physical, Cognitive, Social, and Emotional. Many times play equipment is designed to meet children’s physical needs, but not the other developmental needs. Think of features that help children interact socially peer to peer, allow them the opportunity to challenge themselves in a safe and child sized way, and provide them with cozy quite locations through the play structure to retreat from the fast-paced world and reflect. Loose the panels! I have never seen a child get up in the morning as say hey lets go to the playground to play tic-tac-toe, learn my ABC’s, or run my finger through a maze. These are adult conception of how children play, but not how children want to play. Loose parts can be natural like some of the examples given in Rusty Keeler’s book Natural Playscapes or synthetic like Kaboom’s Imagination Playground. At Roseville Community Preschool operated by Bev Bos, loose parts take the shape of sand and water, construction materials, toys and realistic props, game materials, animals, garden materials, and vehicles. Loose parts can also be painted game markings around the play area that foster children to create games, form rules, and interact together and problem solve. Loose parts allow children to be problem solvers in a stress less learning environment outside of the structured classroom. Creativity helps children to build upon their imaginative, brain-storming, innovative, and inventive skills that will eventually translate in to creative innovative adults. Natural play spaces can stimulate children’s imaginations and engage their sense of curiosity as they explore their physical surroundings and learn in ways beyond what they can experience indoors. The benefits of play in a natural environment not only occur developmentally, but also create a healthier environment for children to play. Swedish research on “Outdoor-in-all-weather” children centers show children less sick, motor development was more advanced, power of concentration was heightened, and play activities were more diverse, especially in the affective imaginative & social domains. Provide children with natural design elements like trees, ornamental grasses, boulders, logs & tree stumps, sand & water, and grass. Natural elements helps children understand the realities of natural systems, demonstrates the principle of cycles and processes, teaches that nature is regenerative, supports interdisciplinary, and environmental education curricula, provides flexible and forgiving settings, and aesthetically appealing to all people. Allowing children to experience numerous and varying features will keep the play environment novel and complex, and will provide children with numerous choices that will keep them engaged with their outdoor play environment.